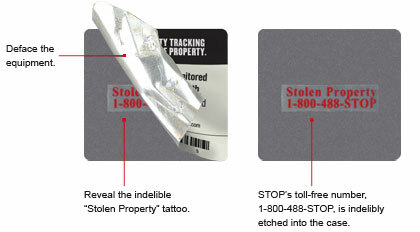 Combine the deterrence of STOP Security Plates with the physical constraints of an easy to remove steel locking cable. mark equipment with a verifiable registration number, clear warnings, and indelible identification as stolen equipment that renders the equipment useless to a thief. It eliminates the reason for most theft: Resale value. designed especially for notebook computers and small electronics. 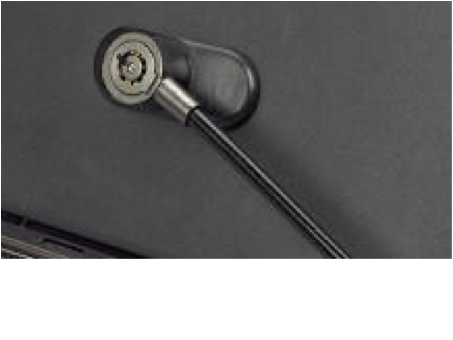 This cable lock features a newly designed anti-theft security lock for people on the go. The newly designed fastener installs in seconds. Just snap the lock into the fastener. No key required to secure the device, only to open it. Best of all, registration is transferrable and security plates, glue on fasteners and high strength adhesive gel are available separately, allowing you to reuse your cable on other products. Glue on Fastener - 2.3" x 1"